Space Maker Designs Inc. occupies 56,000 SQ. FT on 5.6 Acres. We are located just minutes East of Dallas, TX.. SMD is the largest Refurbisher of Pallet Rack, Cantilever Rack, Drive-In Rack, Pallet-Flow Rack, Push-Back Rack and Mezzanines in the South. Our "State of the Art" Powder-Coat Paint Line as well as our Baked-On Enamel Paint Line make our refurbished products appear like new but at a fraction of the cost. SMD provides Systems Integration, Auto-CAD Layout and Design, Installation Services, Delivery, and Pallet Rack Repair services Nationwide. We utilize our in-depth knowledge and experience to provide you with quality products that suit your specific warehousing needs. Partner with us today and allow SMD to build you the perfect storage systems! No matter where you are located, SMD is the answer. For over 30 years, Space Maker Designs has been providing warehouse and material handling solutions throughout Texas and all over the United States. With a combined 100+ years of racking solution experience, Space Maker Designs, Inc. can provide your facility with the most efficient warehouse layout and storage solutions available. Our refurbishing process includes a million-dollar powder coat paint line, baked on enamel paint line, and a full fabrication department. 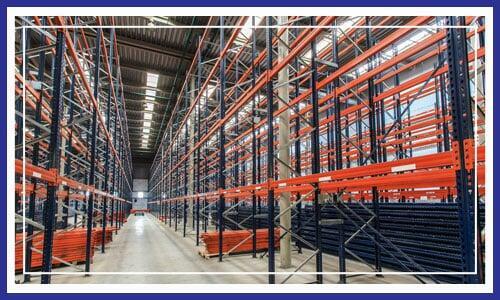 Space Maker Designs, Inc. can provide used, refurbished, or new pallet rack, cantilever rack, and high-density racking. Both refurbished and used pallet racks cost much less than new rack, making them affordable and cost-effective. Space Maker Designs, Inc. also manufactures NEW Tear Drop Pallet Rack, wire decks and Mezzanines for those clients that require new equipment; thus, making Space Maker Designs, Inc. your "one-stop-shop" regardless of your specifications. Along with our state-of-the-art refurbishing process is our adjustable Rack Repair Kit, with a 10-year warranty against future damage to the kit. This protects your warehouse racking investment and is available for both roll-formed and structural racking. Whether you are looking for standard pallet racking or assistance in designing and laying out an entire facility, Space Maker Designs, Inc. is here to help you. 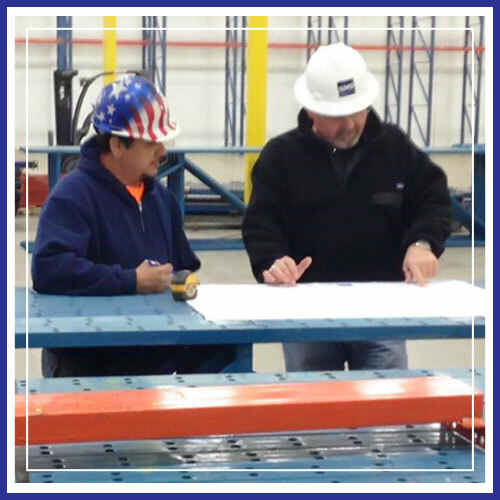 Our team is confident in our capabilities to provide you with nothing but the most effective warehouse layouts and material handling solutions possible. For more information about our company and the detailed services we offer, contact Jim Arnold at jim@spacemakerdesigns.com.